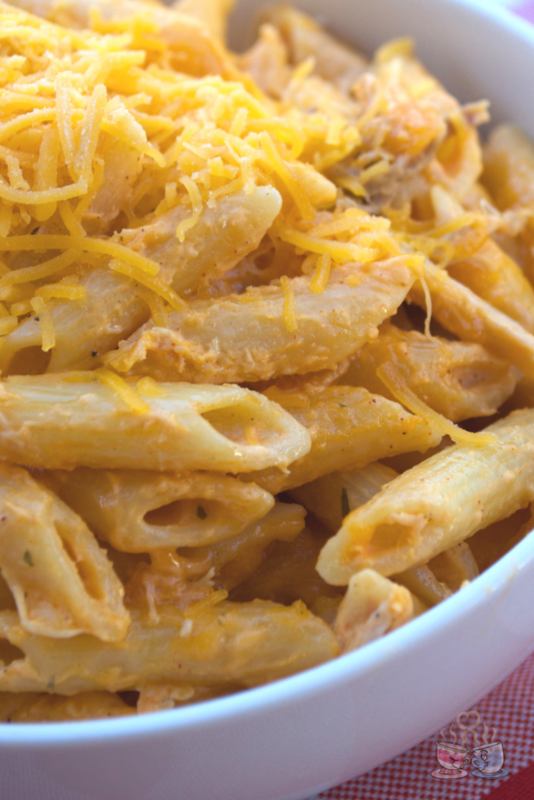 My two favorite things – mac and cheese and buffalo sauce! Thanks for sharing at the What’s for Dinner party! This looks amazing! I don’t eat a ton of pasta right now but I also don’t believe in cutting anything out forever so I am going to try this one soon! This recipe looks delicious. I’ve pinned this recipe to share and to save it for later! Being a Lifetime Member of WW I always enjoy one of their recipes. 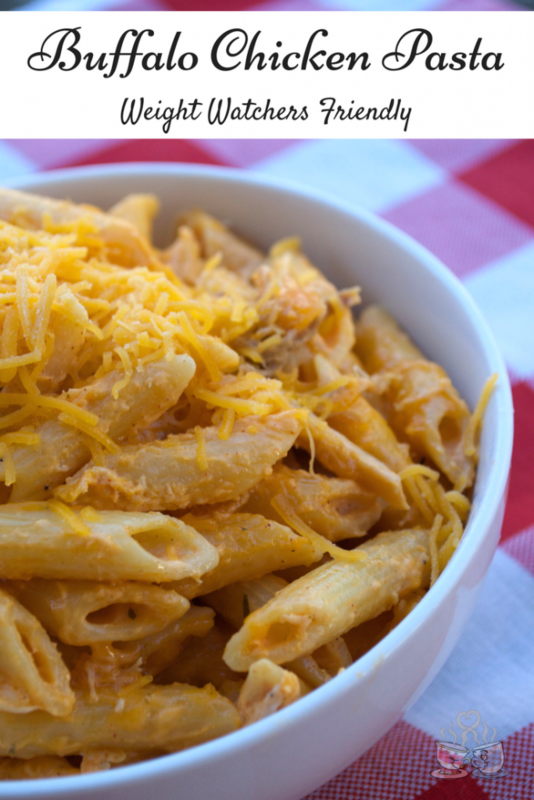 Buffalo chicken and pasta sounds too good to be true! Thanks for sharing with Fiesta Friday. 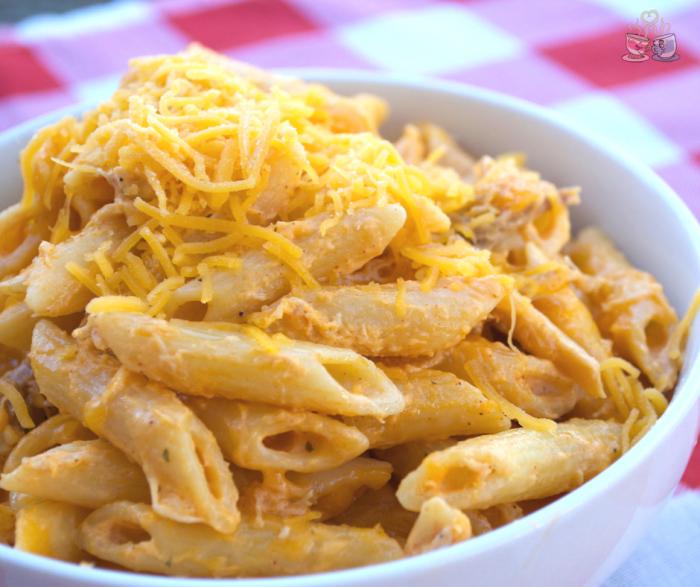 Your Buffalo Chicken Pasta looks awesome! Thanks so much for sharing with us at our Thanksgiving Edition of Full Plate Thursday! Hope you have a great week and come back soon! Oh, yeah, this hits the spot, I bet, and w/o too much guilt!! Thanks for sharing with us at Fiesta Friday!